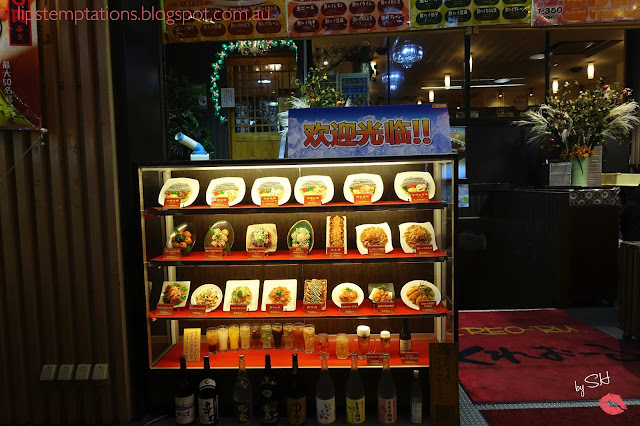 Takoyaki is a Japanese street snacks also known as Octopus ball. 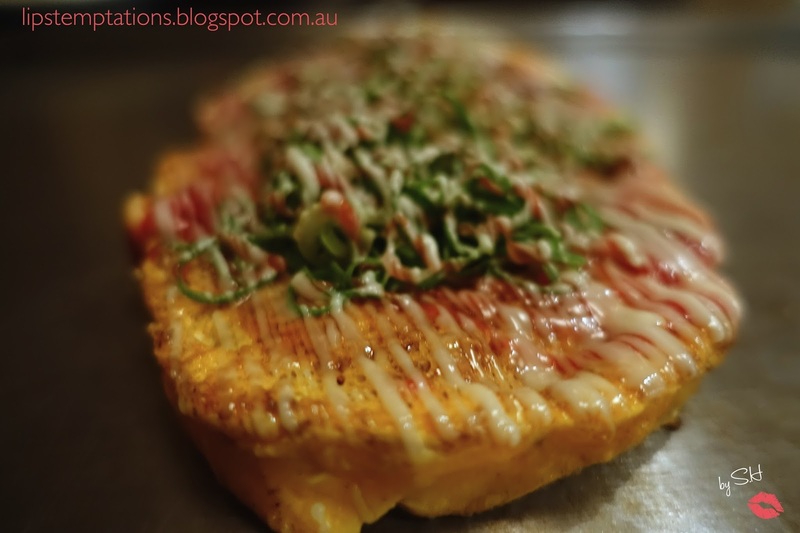 Most people probably familiar with takoyaki nowadays, either from manga, anime and it is widely available in many places around the world. 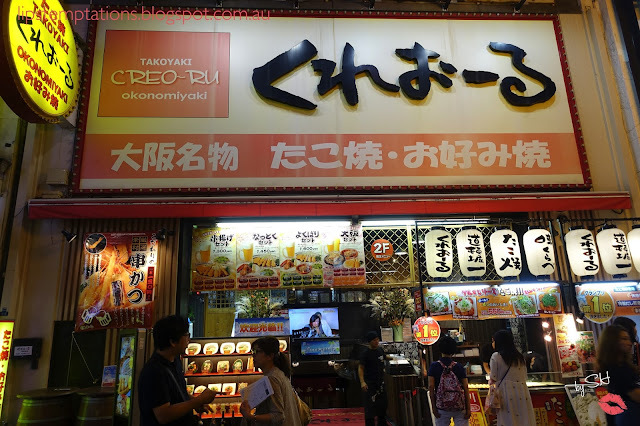 Takoyaki is one of the must eat snacks while you are in Osaka. 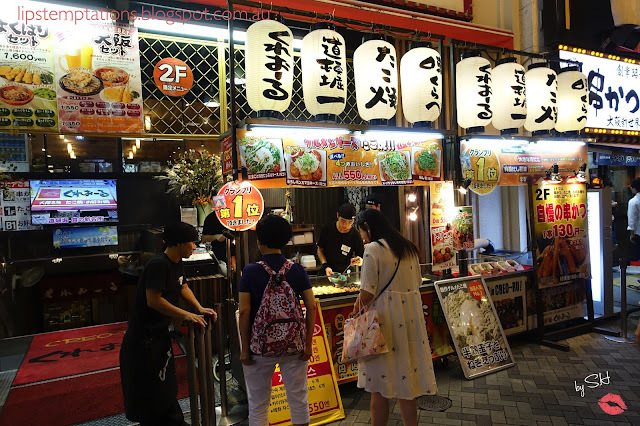 There are soo many takoyaki stalls along Dotonbori area. 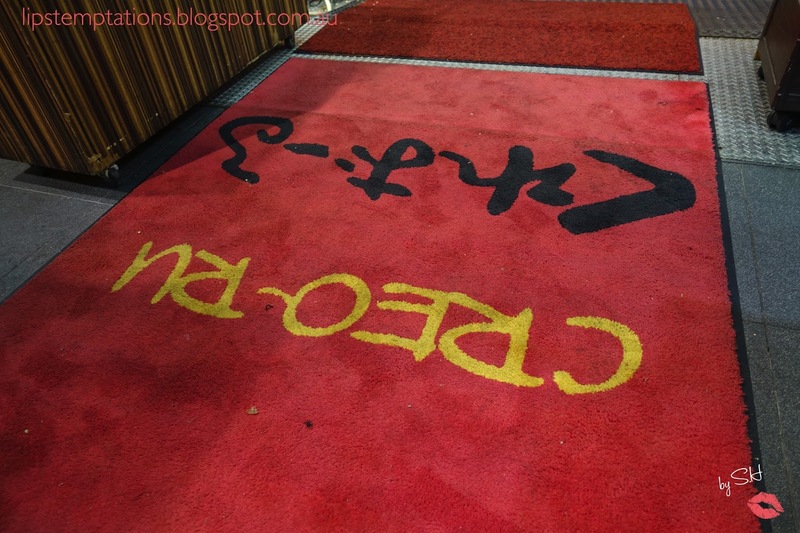 If you're walking straight along the street, it won't be hard to notice the huge Creo-Ru sign. Creo-Ru first open in February, 1999 in Higashiyodogawa district -Osaka city and has numerous branches around Osaka since then. It's one of the popular stall with long line up front, so be prepared to wait. They charge 500yen for 6pcs of takoyaki balls, it was pretty good but not as crispy as I expected it to be. The fillings were generous, as well as the toppings and sauces on top. 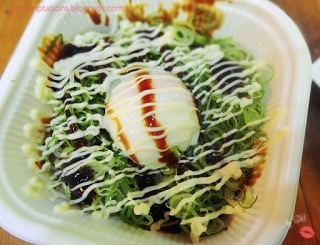 Creo-Ru served something different from the other stalls, they called it Hanjuku Tamago to Nego Tappuri (600yen)- 6 lumps of takoyaki balls buried underneath massive amount of takoyaki sauce, seaweed powder, negi (Japanese scallions) and soft boiled egg. The egg worked very well with the other ingredients, it's mushy and messy but delicious. 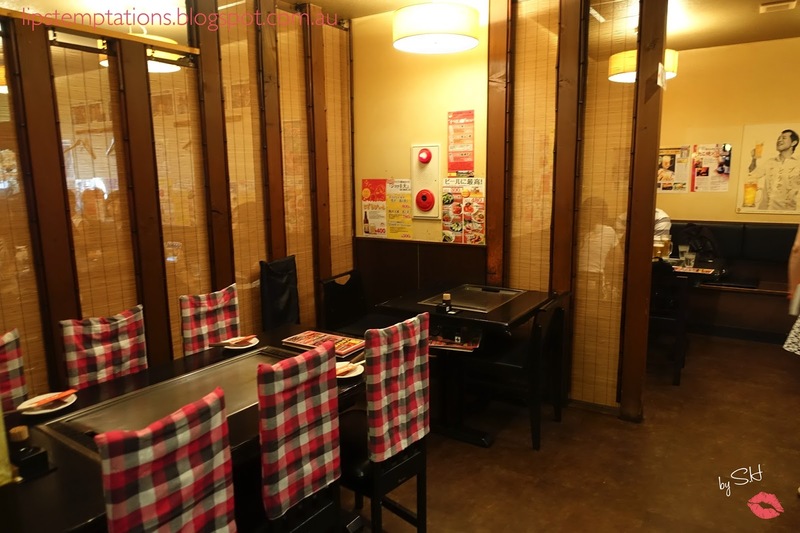 Creo-Ru also has a seating area and on the first floor they serve okonomiyaki, yakisoba and have an individual iron plate on each table. Second floor serve similar food but also serve another famous local Japanese street food, Kushikatsu - deep fried meat or vegetables skewers. I decided to have our dinner at Creo-Ru as well and they decided to give us a table on the first floor. 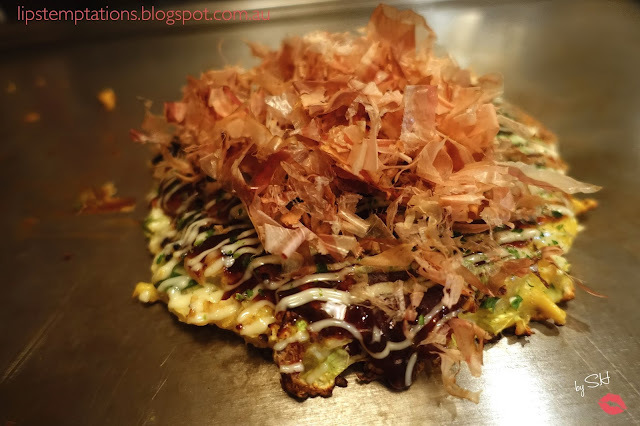 I ordered mix seafood okonomiyaki (1400yen), they taste pretty good, but there are some fishy smell and taste from the seafood and it was pretty unappetising for me. 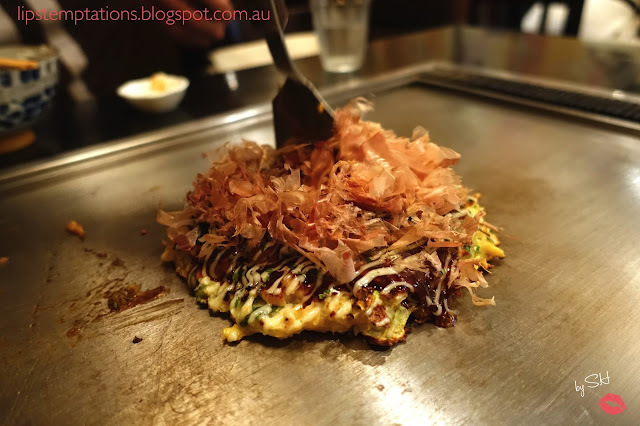 Tonpeiyaki - mixed pork and egg, teppanyaki style (730yen). It looks like an omelette and it was delicious. The egg was still a bit runny inside but firm on the outside with the smooth and tasty pork just mixed perfectly. 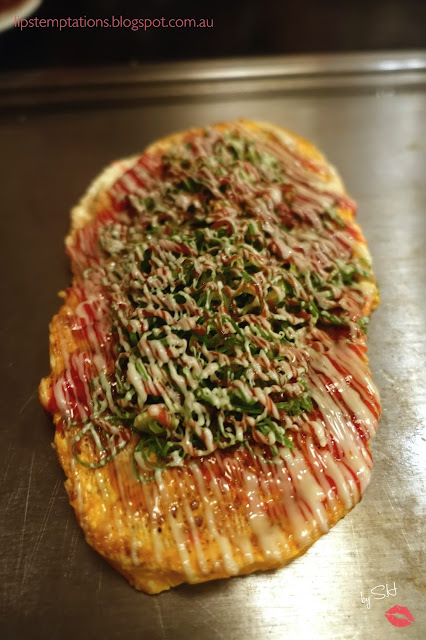 Overall, I would recommended Creo-Ru for their special takoyaki because they are delicious and unique. Come early or be prepared to wait.